1. Peel and wash the potatoes thoroughly. Slice them into oval slices using a slicer or knife. Soak them overnight. Drain them next morning. 2. Next morning, boil water in a big vessel. Once the water is boiled add the drained potato slices. Cover the vessel and allow the potato slices to get cooked till slightly tender about 5-7 minutes. Remove from flame and drain them. 3. Spread a thin muslin cloth in an area on your terrace where you get hot Sun. You can also use what we Indians call 'dupatta'. 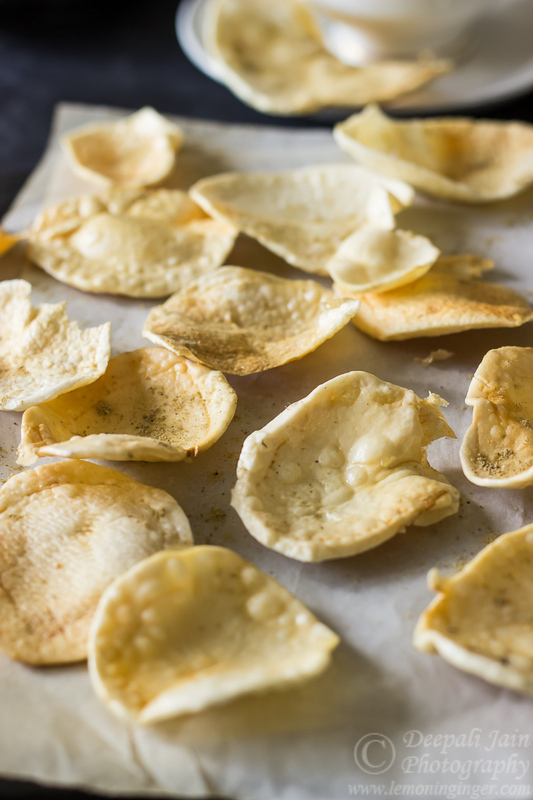 Quickly and gently spread the boiled potato slices to dry. They will dry completely in 2-3 days. You may need to move the entire spread inside if it gets cold and dewy around your place. 4. Store the dried slices in an air-tight container. Fry them and enjoy as you wish.